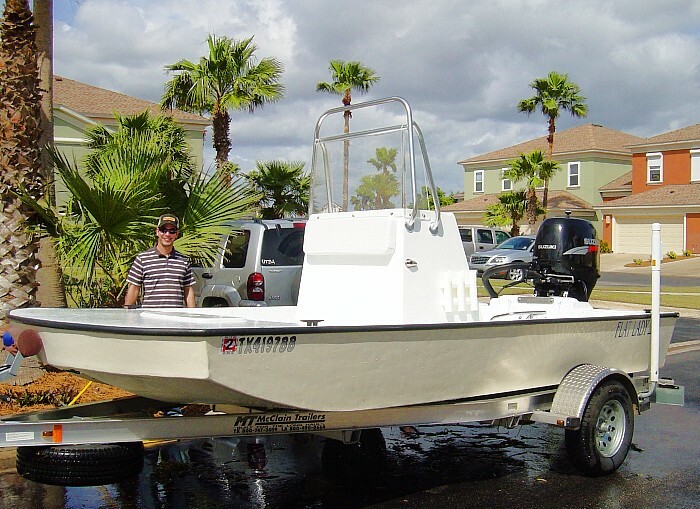 Here are two pictures of the before and after of my boat building project. The Scooter was modified to have a round forward bow, with a casting deck. I also added two boxes for storage in the aft of boat. All stringers were made from solid oak and marine grade plywood. 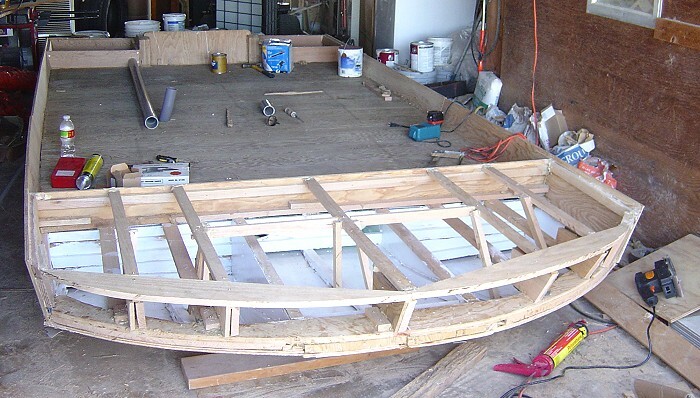 I used half inch marine grade plywood on deck and hull. The hull and deck were covered with fiberglass. The fiberglass was ground to a smooth finish, and painted with an epoxy based paint. We wet sanded the hull four times and buffed to a shiny finish. The plans were great and easy to follow. She runs in about three inches of water, and can get up in about five inches. The 115hp Suzuki will do about 40 Knots. Thanks for all the help and your video on fiberglass construction.